Grey Marmoglass Color Marmo Glass-welcome to china marmoglass, nanoglass, nano crystallized glass panel crystallized glass panel,crystallized white stone,white marble,minicrystal stone. 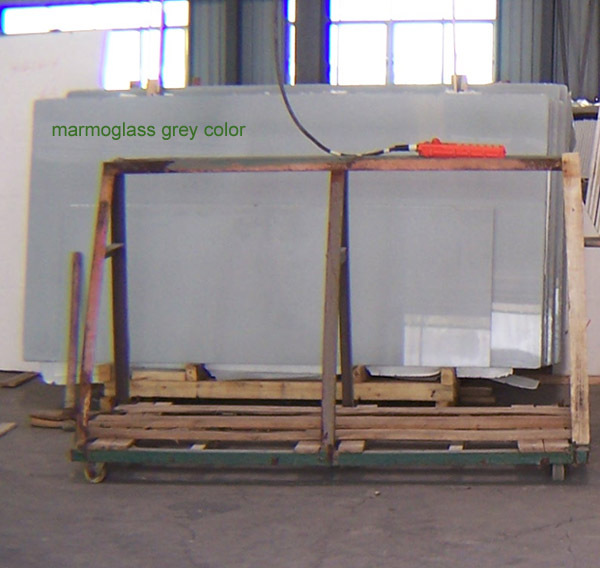 China Marmoglass Co.,Limited is the directy factory and exporter for Grey Marmoglass Color Marmo Glass. Here you can find detail Grey Marmoglass Color Marmo Glass. 10mm, 12mm, 15mm, 18mm, 20mm, 29mm,35mm. Mitered ege in 45 degrees is necessary for countertop & vantiytop to avoid pore holes. 3)High hardness,acid/alkali resistance and wearability.